A 35 year history of the Irish Peatland Conservation Council and a timeline of actions that have saved the Bogs of Ireland. IPCC’s Chief Executive – Dr Catherine O’Connell reflects on the highlights. 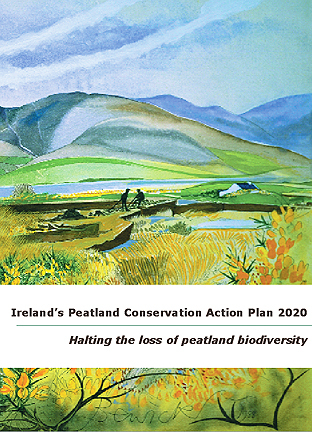 The Irish Peatland Conservation Council began in 1982 as the National Peatland Conservation Committee. This Committee was set up following a debate on the future of Irish bogs organised by An Taisce and held in University College Dublin. This organisation led by Prof Gerry Doyle later became the Irish Peatland Conservation Council (IPCC). For three years the NPCC voluntary committee worked hard to develop the first inventory of peatland sites in Ireland and an Action Plan for their conservation. They also proposed a management structure for a campaigning organisation which they felt was needed to be a voice for Irish bogs. In 1985 the NPCC resigned and the IPCC was formed under the leadership of Dr Neil Lockhart. The Committee of the IPCC began to engage in lobbying, education, fundraising and purchasing sites with Dutch funding. The “friends of the bog” supporters fundraising scheme was launched and the first issue of Peatland News was published. By August 1986, Dr Lockhart had established IPCC as a charitable organisation and a company limited by guarantee. The signatories to the Memoranda and Articles of Association were: Dr Neil Lockhart, Prof. William Watts, Prof Frank Mitchell, Dr Reg Parker, Mr William Finlay S.C., Prof Frank Convery, Prof Palmer Newbould. Dr Peter Foss took up the role of Chairman of the IPCC late in 1986 and under his leadership, the IPCC grew into an independently funded and thriving conservation organisation which has made its mark in the nature conservation history books of Ireland. The first member of staff of the organisation was employed in 1988 as Information Officer and worked from an office in Pearse Street rented from Trinity College Dublin. By 1990 both Dr Foss and Dr Catherine O’Connell were full time employees of the IPCC (the latter as Education Officer). Our growth necessitated renting bigger offices first in Lower Mount Street and then in Capel Street. Under the leadership of Dr Foss, the organisation’s supporters increased to the thousands and its staff increased to four (Oscar Duggan in the role of Customer Care and Patrick Crushell (and later Noreen McLoughlin) as Conservation Officer). In this time four peatlands were purchased, four Peatland Conservation Plans were published, a peatland education programme was established and the Irish Government designated 250,000ha of peatlands as Special Areas of Conservation. To mark the 20 year anniversary of the IPCC, it was highly appropriate for the organisation to publish “Celebrating Boglands” a beautiful anthology of prose, art, poetry, music and natural history to celebrate its achievements. 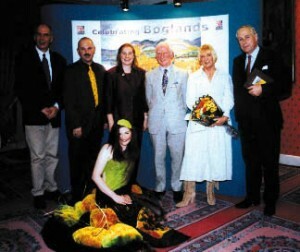 In the photograph shown (from left to right) are Matthijs Schouten, Peter Foss, Catherine O’Connell, Éamon de Buitléar, Pauline Bewick and His Excellency, Mr Jacobus van der Velden. Fiona Fallon seated. The work, policies and finances of the IPCC are directed by a voluntary Committee of Management. One of the most challenging times for the Committee in the history of the organisation was the decision to purchase the Bog of Allen Nature Centre (formerly Peatland World) from Teagasc in 2003. So many issues were discussed in relation to buying this property and planning its renovation and use. 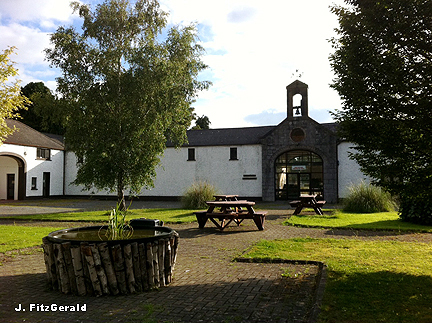 The Committee voted in favour of the project and the property was purchased for €275,000 in October 2003. Further changes came with the resignation of Dr Peter Foss from the staff early in 2004 and the appointment of Dr Catherine O’Connell as Chief Executive. Her role was to establish the Bog of Allen Nature Centre as a centre of excellence for peatland conservation, education and research. The team who moved to the Bog of Allen Nature Centre in June 2004 included Mary Mulvey as Centre Renovations Manager, Caroline Hurley as Conservation Officer and Oscar Duggan. IPCC are experiencing a new phase of growth and development since the move to Kildare. The staff have increased to six with a new post of Gardener being created. Currently Nuala Madigan is the Environmental Education Officer, Katie Geraghty is the Conservation Officer, Tristram Whyte is the Conservation Policy & Fundraising Officer. The volunteer contribution to the organisation has grown exponentially. We have 100 regular volunteers with at least 10 of them offering one or more days work per week at the Nature Centre. Their contribution is worth five additional staff. IPCC has established a network of peatland nature reserves which includes fen, raised bog and blanket bog habitats. The first site purchased was Fenor Bog in Co. Waterford. Two additional peatland sites were acquired from Bord na Móna in 2005 and are being managed for nature conservation by IPCC. One of these was extended with a purchase from a private land owner in 2009. Girley Bog in Co. Meath was purchased in 2013 and IPCC were donated Coad Bog in Co. Kerry in 2015. Renovation of the Nature Centre to provide administrative offices, nature conservation gardens, a research library and classroom have been completed. An educational experience for school and special interest groups visiting the centre is available. The sixth Peatland Conservation Plan 2020 for the Bogs of Ireland was published in 2009. A busy future is predicted. The achievements of the IPCC over the past 35 years have always been directed by our most dedicated volunteers who are members of the Committee of Management of the IPCC. Special tribute must be given to all of those who served on the Committee and made the decisions that have made IPCC what it is today. The major events, publications and sites saved between 1982 and 2017 by the Irish Peatland Conservation Council. IPCC celebrates 30 years since our foundation on International Bog Day 2012. Click on this link to see photographs from our birthday.